I’m Nathan Freeland – church consultant, strategist, and giant Lego set builder. My goal: To help pastors and church leaders navigate the challenges of the business-side of church leadership. I do this by working with church leaders to help them make the administration of their church easier, simpler, and much less painful. 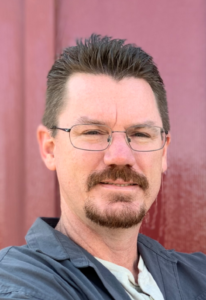 Most pastors were not educated in business while at seminary, yet their board and congregation often expect them to know how to run the day-to-day operations of the church, much of which has nothing to do with direct ministry. You will benefit from our services by learning how to manage the church office, Monday through Friday. Or perhaps we can help you understand church accounting, reduce your insurance costs, restructure your staff, raise more money, or better maintain your facilities. 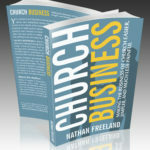 While I enjoy blogging and making short useful videos for pastors, the most useful content is in my book, CHURCH BUSINESS: Making the Business of Church Easier, Simpler, and Much Less Painful. Better yet, my best ideas come during personal conversations with pastors and church leaders who are looking for answers to simplify their challenging needs. Wouldn’t it be nice to simplify the parts of your pastoral job that have nothing to do with pastoral work? What if you could minimize the time and effort you put into the part of your job you were never trained for while maximizing your outcomes? You’re in the business of church.